NEW YORK (AP) -- Proposals for Internet addresses ending in ".pizza," ''.space" and ".auto" are among the nearly 2,000 submitted as part of the largest expansion in the online address system. Apple Inc., Sony Corp. and American Express Co. are among companies that are seeking names with their brands. Google Inc. and Amazon.com Inc. sought dozens of names, including ".app," and ".play." The wine company Gallo Vineyards Inc. wants ".barefoot." The Internet Corporation for Assigned Names and Numbers announced the proposals for Internet suffixes, the ".com" part of an Internet address, in London on Wednesday. They now go through a review process that could take months or years. "The Internet is about to change forever," ICANN CEO Rod Beckstrom declared, adding that new innovations could find homes in the new addresses. There were 1,930 proposals for 1,409 different suffixes. The bulk came from North America and Europe. If approved, the new suffixes would rival ".com" and about 300 others now in use. Companies would be able to create separate websites and separate addresses for each of their products and brands, even as they keep their existing ".com" name. Businesses that joined the Internet late, and found desirable ".com" names taken, would have alternatives. From a technical standpoint, the names let Internet-connected computers know where to send email and locate websites. But they've come to mean much more. For Amazon.com Inc., for instance, the domain name is the heart of the company, not just an address. The expansion will allow suffixes that represent hobbies, ethnic groups, corporate brand names and more. Where the proposals came from in many ways mirrored where the Internet is used most. Nearly half of the proposals — 911 — were from North America and another 675 came from Europe. Only 17 proposals came from Africa and 24 came from Latin America and the Caribbean — areas where Internet use is relatively low. One surprise came from the Asia-Pacific region, which had 303 proposals, or 16 percent of the total. It was believed that Asia might get more because the expansion will lift current restrictions on non-English characters and permit suffixes in Chinese, Japanese and Korean. Some of the bids for Asian suffixes came from North American or European companies. A European subsidiary of VeriSign Inc., the current operator of ".com," is seeking the equivalent in Chinese, Thai and other languages. There were 116 proposals, or 6 percent, for suffixes using characters beyond the 26 English letters. Many of the 1,930 proposals were duplicates. Suffixes in contention are likely to include ".bank," ''.secure" and ".web." 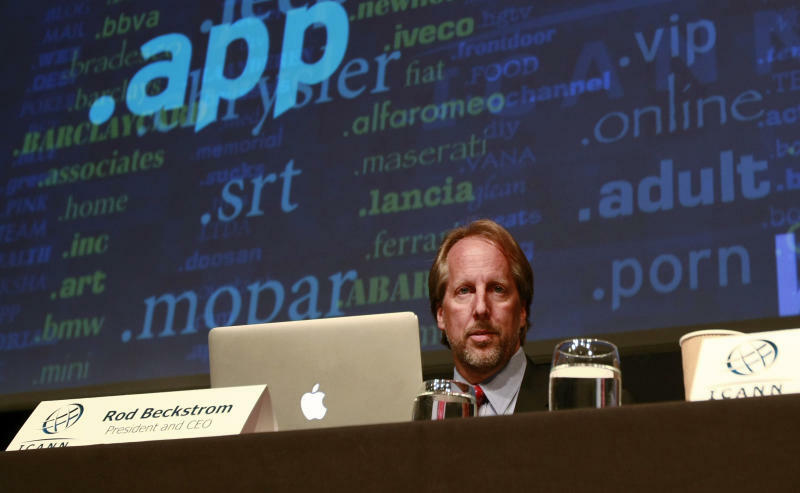 ICANN is encouraging competing bidders to work out an agreement. The organization will hold an auction if the parties fail to reach a compromise. Of the 1,930 proposals, 751 were for 230 different suffixes, while the remaining 1,179 were unique. That means there were 1,409 distinct suffixes proposed. The public can now comment on the proposals. Someone can claim a trademark violation or argue that a proposed suffix is offensive. It'll take at least a year or two for ICANN to approve the first of these new suffixes. ICANN will review each proposal to make sure that its financial plan is sound and that contingencies exist in case a company goes out of business. Bidders also must pass criminal background checks. Companies and groups had to pay $185,000 per proposal. Suffixes could potentially generate millions of dollars a year for winning bidders as they sell names ending in some of the approved names. Critics of the expansion include a coalition of business groups worried about protecting their brands in newly created names.